I had collected 90 recipes for cheesecake before I realized that I would never use any other recipe than this one. 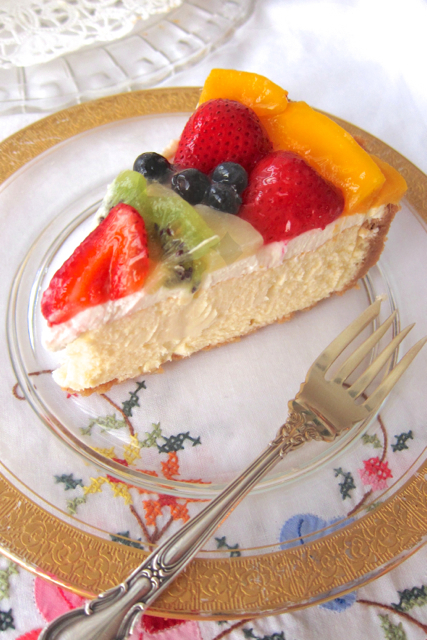 It’s a perfect cheesecake. 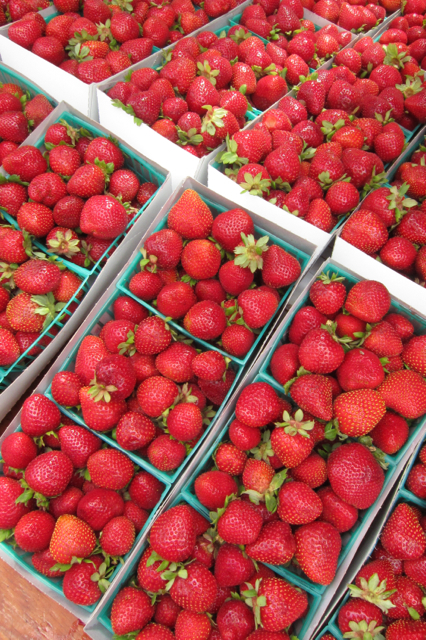 Its flavor and creamy texture is wonderful. Putting it in the refrigerator right out of the oven was to avoid it cracking but may also be what makes its texture so exceptional. The changes I made to the original one that was given to me by a neighbor when I lived in Texas, was more almond flavoring and switching from graham crackers to short bread cookies. 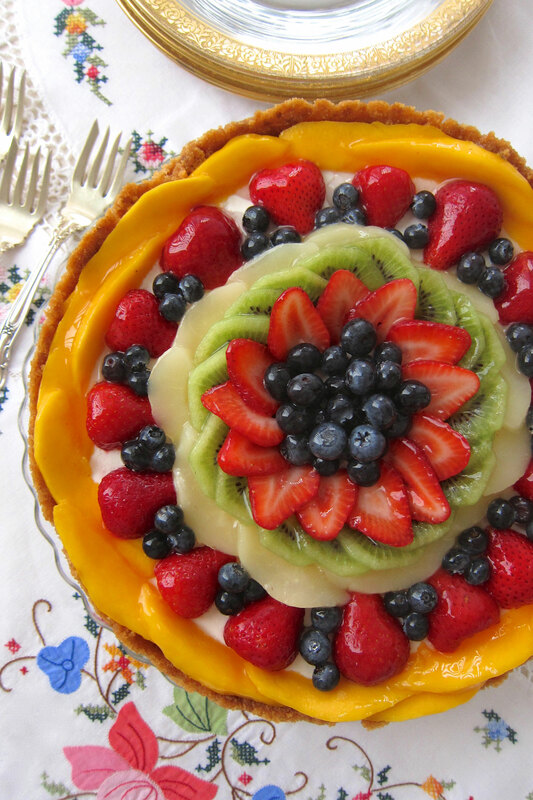 And of course the fruit toppings on cream filled tarts and cakes has evolved during the years to something really beautiful. Press mixture over the bottom and up the sides of a 10″ spring form pan. Bake in a 350 degree oven until very lightly browned around the edges, approximately 10 minutes. In a mixer combine cream cheese and sugar and beat for 2 minutes. 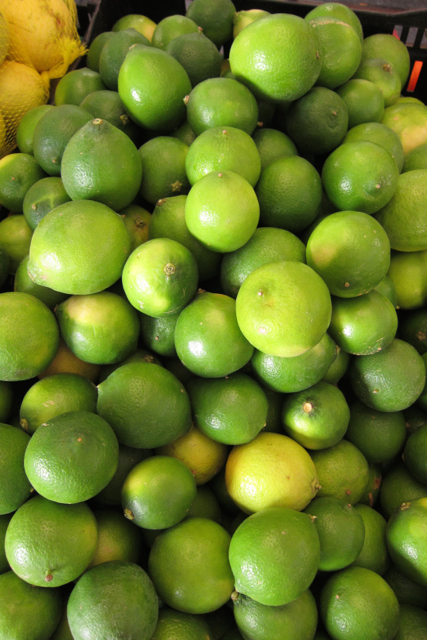 Add flavorings, lime juice and salt and blend. Add eggs, one at a time, keeping mixer on lowest speed mixing only long enough to incorporate the egg into the batter. Pour filling into crust and bake 350 for 55-65 minutes. Use an oven thermometer or keep an eye on it in case your oven cooks hot. The cake will get puffy and should get brown and set in the middle when you jiggle it. Remove from oven and let stand 10 minutes while you prepare the topping. Combine ingredients and spread evenly over filling and return to 350 degree oven for 10 min. Remove from oven and place directly into the refrigerator. This prevents cracks from forming. Cake should be refrigerated 24 hours before serving. 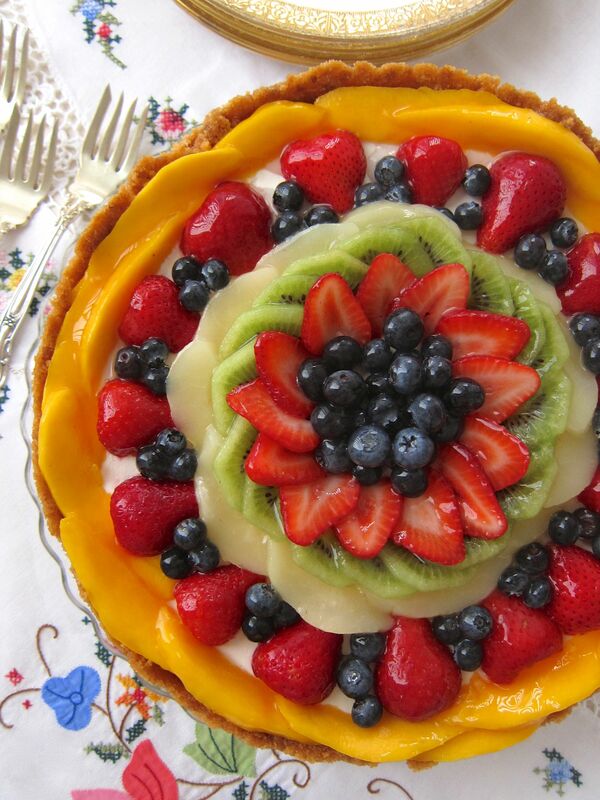 Decorate with fresh fruit. Brush with clear glaze. Heat water and sugar and when it comes to a boil add the cornstarch mixed with 2 tablespoons water. Boil 5 minutes. Cool.